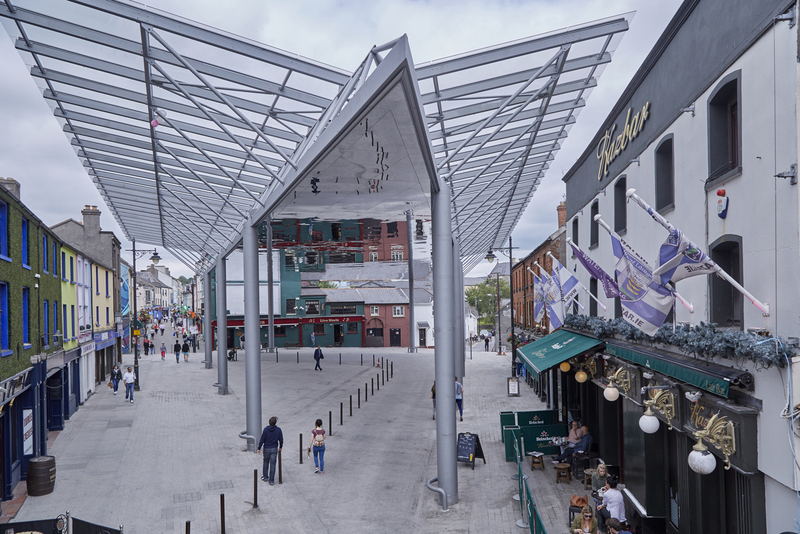 dhbArchitects designed the recently completed Apple Market Canopy in Waterford City, Ireland as part of a larger programme of works involving the upgrade and renewal of a number of streets and public spaces in the City Centre. Based on this experience we would like to share a number of lessons learnt. 1. Public Realm is all of those publicly owned spaces between buildings in our towns and cities. It includes streets, pavements, cycle lanes, public squares, parks and public car parking areas. 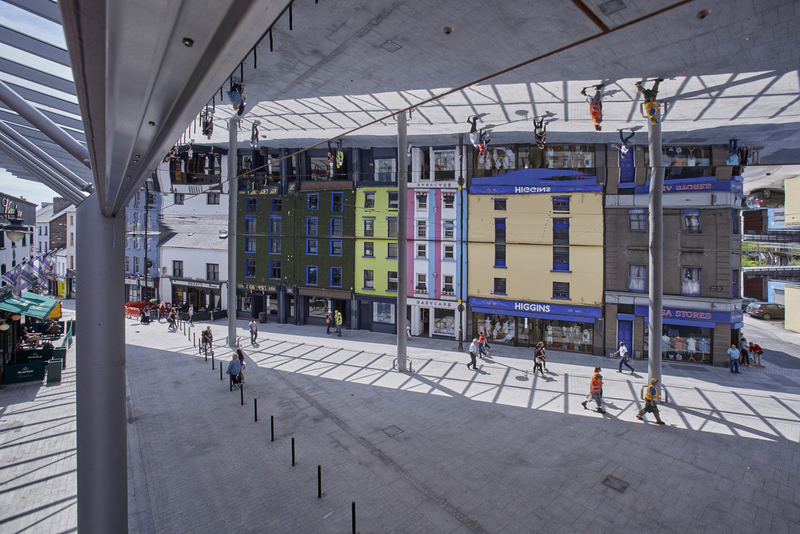 Public Realm design requires looking at all these spaces including above and below them! It involves the things you can see such as stone paving, road finishes, trees & planting, lighting, street furniture and signage. Equally it involves all the things you don’t see such as water & storm drainage, electrical and gas pipework, WIFI and a multitude of other services usually located beneath the street surface and accessible by manholes and access chambers. 2. Context is critical. This involves becoming familiar with the historical development of the area through analysis of old maps and photographs. Quite often successful public realm can restore coherence lost over time by ‘restoring’ spaces and routes to known earlier states through an appreciation of these historical layers. Equally when choosing materials we can see what has been used in the past. In the case of stone and pebble finishes there is a sense of compatibility and continuity when local materials are used. 3. Creating Connections wherever possible strengthens the project. Successful towns and cities are permeable. They allow a flow of people from one space or street through to another without creating black spots or no-go areas. 4. City Canvas. Well-designed public realm projects are like a big canvas for a multitude of events. They allow the energy of urban life its full expression, in open and safe ways. An open, well-designed and flexible urban space which is free of clutter promotes freedom of movement. It also allows traffic and deliveries at certain times of the day, it can prioritize pedestrians at other times and it can exclude traffic completely for celebratory events. 5. Community. People are not just a commodity to provide shopping-fodder for our town and city centres. THEY ARE our towns and cities, and vibrant urban centres require many kinds of users, from local residents to occasional visitors. 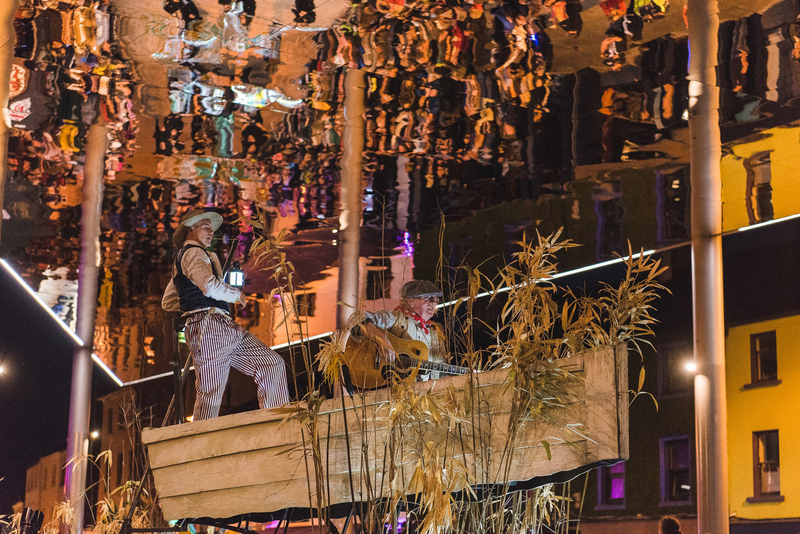 Urban sustainability is much more than an economic concept and must include the cultural as much as the commercial. Enhanced street layouts and traffic management plans encourage sustainable street activity and in turn economic growth. Car-only or pedestrian-only streets are not always the solution. Commercial businesses need delivery spaces; residents need parking and green areas; elderly people and the physically disabled need accessibility; emergency services need accessible routes; people need places to walk safely and so forth. 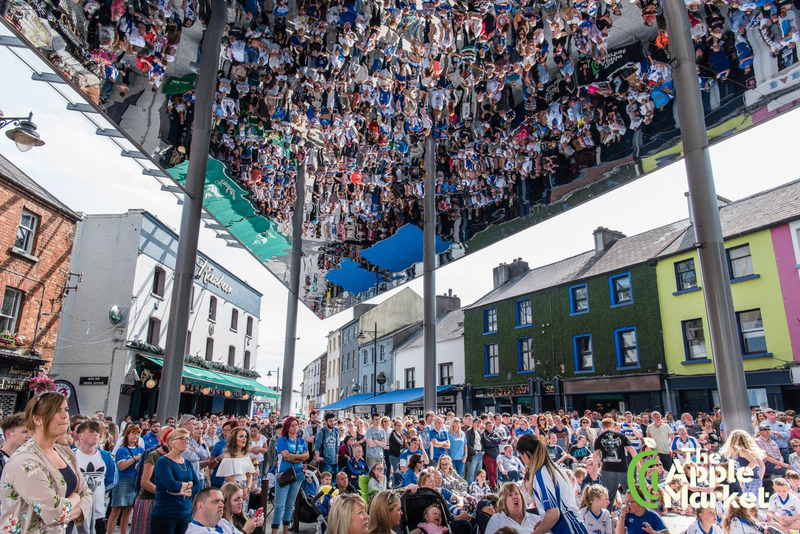 Urban communities be they in towns, cities or villages need a public space to gather in for public events, be they celebratory, social, political or whatever. Consider ‘shared surfaced’ areas with reduced speed limits where kerbs are eliminated. This also facilitates universal access. Most importantly design for the elderly, and the young will take care of themselves, whereas If we only design for the youth we exclude those with limited mobility. 6. Communication & Consultation. If we want people to take ownership of our streets then they must feel part of an inclusive and democratic process. One-to-one conversations as well as public presentations from beginning to the end of the project are useful. Large display boards and weekly news letters during the site stage giving information on the project have also proven useful. Consultation with all users before completing the design is a priority particularly with the teams who will be responsible for maintenance and utility providers. 7. Client & Cost. 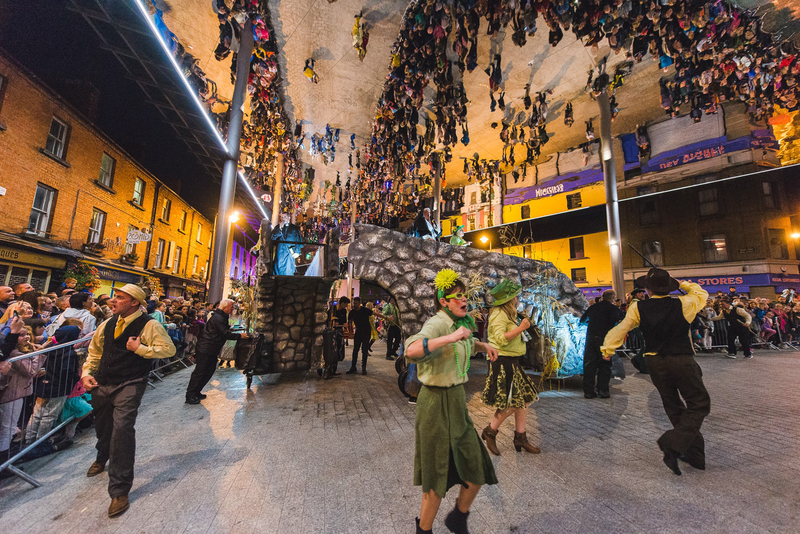 The client in Ireland is usually the Council working on the city or town’s best interest. There is usually a team of committed professionals who have immense technical knowledge of the workings of urban area in question and are ambitious for its success. Capturing all the information in a timely fashion and making sure nothing has been forgotten can be challenging but will save time in the long run. Public Realm projects are funded from the public coffers and as with every project there is an ethical obligation to spend money wisely and avoid wastage. 8. Climate. We live in a wet climate. Providing covered outside spaces is hugely beneficial to street activity. 9. Culture. Respect the culture of streets. Not all areas have to be buzzing with activity. It’s ok to have quiet areas also. This is especially important for residents. 10. Clutter. Look at all those photos from the early 1900s; No clutter – just people. Putting services underground helps. Consider catenary lighting if it is appropriate. Use street furniture and planting where possible instead of bollards to act as traffic calming. Take an integrated approach to the overall design of lighting, wayfinding and traffic signage to avoid a multitude of poles at street corners. 11. Choice. Choose quality materials and pay particular attention to specifications. It is easy to substitute a quality material with a poorer relative if the specification is not detailed enough. Equally in the case of stone the same specification can result in colour variations of the same stone. If possible visit the quarry and ensure that the correct colour is chosen. 12. Celebrate. Celebrate the new spaces with the community as well as the client. 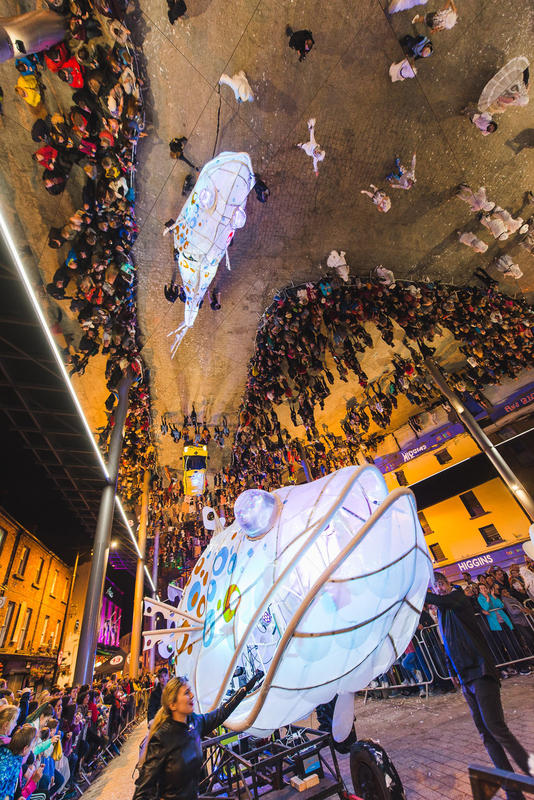 Provide ‘pop – ups’ in a number of urban areas to allow for celebratory events. Pop-ups should allow for connection to electricity and water. 14. Contractor & Construction. A conscientious and experienced contractor will ensure the quality of workmanship and help the design team overcome site issues in a creative way. It may be a good idea to have a prequalification process prior to tender to shortlist a number of contractors with proven experience. 15. Challenge & Change. Don’t be afraid but tread carefully (no pun intended!). Just because a taxi rank has been in the same spot for 20 years doesn’t mean it can’t be moved to a more suitable location but remember to consult and communicate with relevant stakeholders. Communicate the bigger picture. 16. Criticism. Welcome it. Some of it has proven very useful!